The thought-provoking Syfy series 12 Monkeys follows the journey of James Cole (Aaron Stanford), a man from 2043 who was sent back in time to stop a malevolent organization known as the Army of the 12 Monkeys from destroying the world. 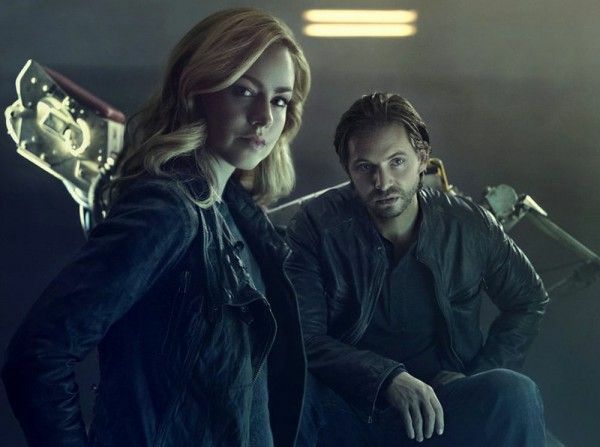 He joined forces with Dr. Cassandra Railly (Amanda Schull) in the present day, in order to untangle an insidious conspiracy, but as events unfolded and moments were changed, Cole and Cassie made decisions that forever changed them, and they realized that things were bigger than either of them ever could have imagined. 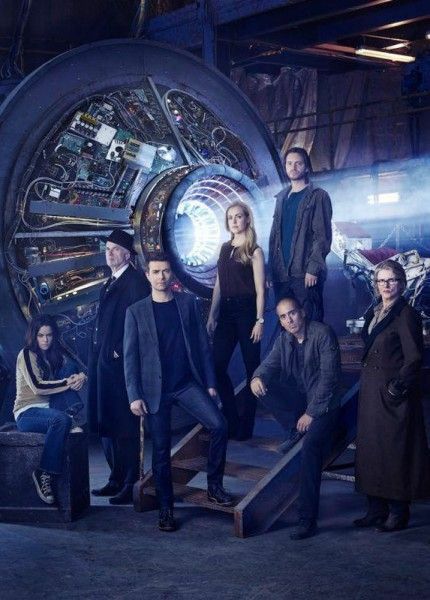 During this exclusive phone interview with Collider, actor Aaron Stanford talked about how the journey of 12 Monkeys has evolved, having his character be in such a different place now, what Cole is driven by now, the relationship between Cole and Cassie, why the mission is falling apart, his reaction to the Season 2 finale, and how Season 3 would be the launch of a whole new epic tale. Be aware that there are some spoilers. Collider: From what you were told about this show and this character when you originally signed on, how drastically different has it become? Did you have any idea that this would be the path it would be taking? 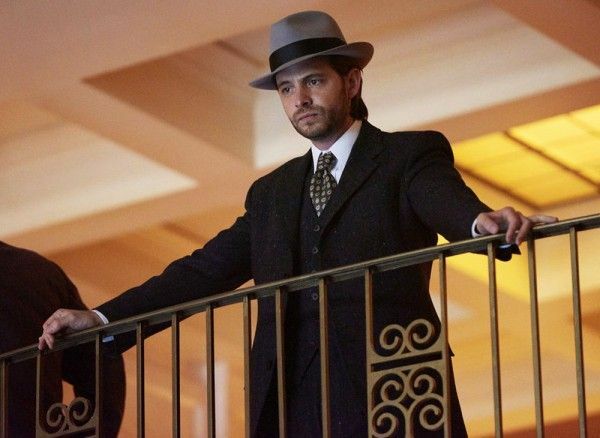 AARON STANFORD: I guess not really, no. In my experience with television, in general, they have a very rough outline of where they want things to go, and that outline can change over time. You can still ultimately end up where you thought you were going to, at the very end, but the actual journey there might end up being something completely different than you planned on, in the first place. And then, they’re also very cagey about how much they want to tell you. There seems to be this idea that, if you tell actors what’s going to happen ahead of time, it will somehow influence their performance, or the performance won’t be as fresh as you might like it to be, or if you change something, the actor will be upset. You tend to find out about a lot of things, last minute. So, it’s been as much of a surprise for me, as it has been for most people watching the show. We find out what’s going to happen, usually a couple of days before shooting the episode. The first season of a show is typically about finding your footing and figuring out the character dynamics, but when things shift so much in the second season, does it feel like you have to figure things out, all over again? STANFORD: It’s a challenge because my character is in a very, very different place than he was, at the beginning of Season 1, and that is what you want. You want your character’s journey to be long and you want the arc to be wide. That’s what makes for an interesting story. Cole underwent this metamorphosis from this person who really doesn’t value human life very much, is very nihilistic, and essentially is on a suicide mission and is very willing to sacrifice himself, and then became a person who is the opposite of that, who suddenly values life very highly, does have hope, and does believe that things can be better and that they can win. It was all there. The framework of all of the stages of that journey was very solid. Everything was really cemented, at the end of Season 1, when he does make that choice to save a life and to help Ramse, and to go against what was perceived as destiny and fate and just say, “Screw it, I’m going to go with what my heart and my gut is telling me.” That’s the first time that any real significant change happens, and I think Cole was altered by that. Cole’s world view has broadened and his perspective is wider, while Cassie’s world view has narrowed and she has become a lot more focused. As they both want to and need to go about things differently, what would you say Cole’s big drive is now? STANFORD: It’s interesting, what you say about where the characters are now and that Cassie’s view might have narrowed a little bit. I think what’s really interesting is that Cassie has changed because she ends up having to live in Cole’s world and she’s in the war. She’s in the middle of the crisis and the horror. When you’re in the middle of something like that, it’s very difficult to have any sort of a wider perspective. And Cole gets trapped in her time, so he’s distanced from it and he’s able to look at it with a cooler head. So, they essentially switch places. They both want the same thing, it’s just that Cassie has gone to a place where she’s essentially willing to do anything. The ends justify any means, at all. Cole does not feel like that anymore. They’re such interesting characters together because they obviously need each other, and they very deeply care about and for each other, but their relationship is oddly undefined. What’s it been like to explore that relationship, but then have it shift so dramatically and have to figure it out again? STANFORD: All’s fair in love and war. It’s interesting to navigate a love story in the middle of a show like this, where the stakes are so high and it is about the survival of the human race. And then, we find out that the stakes are even higher and really it’s about the fabric of space and time as we know it and reality. In the middle of it, you have these very natural human feelings that develop between the two of them. The tension is always there, but there just seems to be very little time to address it or deal with it. Of course, they keep coming up against things that they disagree upon and that are perceived betrayals, and all sorts of things like that. It’s complicated, but that what you love in a good story. We get to see a lot more development between Cole and Jennifer Goines, this season. How would you say their relationship has most evolved and shifted, from what it was last season? STANFORD: He knows her a lot better, at this point. She’s not quite as much of a mystery or a question mark to him. There’s very much the dynamic of a father dealing with a bratty two-year-old. That’s a very real part of their relationship. I think Cole feels protective over her and there is a paternal element to the relationship for him. But he’s definitely decided that there’s more to her than people think, and she’s very, very important to things, on a grander scale. As these characters have realized that there doesn’t seem to be any one clear solution, and that stopping one event just leads to it happening in a different time or place, or a different way, how difficult is it for them to stay driven and focused on completing a mission that seems like it may never have an end? STANFORD: It’s very difficult. The mission is beginning to fall apart. Their cohesion is beginning to fall apart, and it’s because of all of the frustrations and because of all of the repeated failures, and the discovery that all of these people are motivated by their own different personal grievances and wrongs that they want to right and people that they want to save. It gets to a point where things are almost certainly going to implode, and that’s when Cole makes the decision to take leadership of the group, essentially, because no one else is there to do it. Without giving anything away, when you read the script for the Season 2 finale and you learned how everything would come together, what was your reaction? STANFORD: What happens at the end of this season has been in the works for a long time, so that wasn’t a complete surprise to me. What I was surprised and really delighted by was the execution. I think it’s done really well and artfully, and I think people are really going to be very satisfied by how it ends. 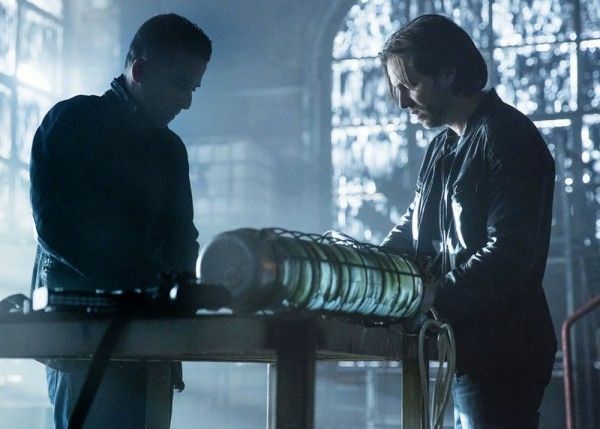 Will the finale give a clear indication of where things could go in Season 3? STANFORD: It certainly asks a lot of new questions. There are all sorts of new avenues that now need to be explored, but that’s what’s been great about the writing, in general. These guys seem to have this completely inexhaustible ability to generate story. Every single episode is a feature film’s worth of storytelling. I don’t know where they keep coming up with it. The finale is very clearly a launching point for a whole new epic tale. 12 Monkeys airs on Monday nights on Syfy.